Settling a persistent scientific controversy, a long-awaited report shows that restricting calories does indeed help rhesus monkeys live longer, healthier lives. A remarkable collaboration between two competing research teams -- one from the University of Wisconsin (UW)-Madison and one from the National Institute on Aging (NIA) -- is the first time the groups worked together to resolve one of the most controversial stories in aging research. The findings by the collaboration -- including Senior Scientist Ricki Colman of the Wisconsin National Primate Research Center and UW-Madison Associate Professor of Medicine Rozalyn Anderson; and NIA Staff Scientist and Nonhuman Primate Core Facility Head Julie Mattison and Senior Investigator and Chief of the Translational Gerontology Branch Rafael de Cabo -- were published online on January 17, 2017) in the journal Nature Communications. The open-access article is titled “Caloric restriction improves health and survival of rhesus monkeys.” In 2009, the UW-Madison study team reported significant benefits in survival and reductions in cancer, cardiovascular disease, and insulin resistance for monkeys that ate less than their peers. In 2012, however, the NIA study team reported no significant improvement in survival, but did find a trend toward improved health. 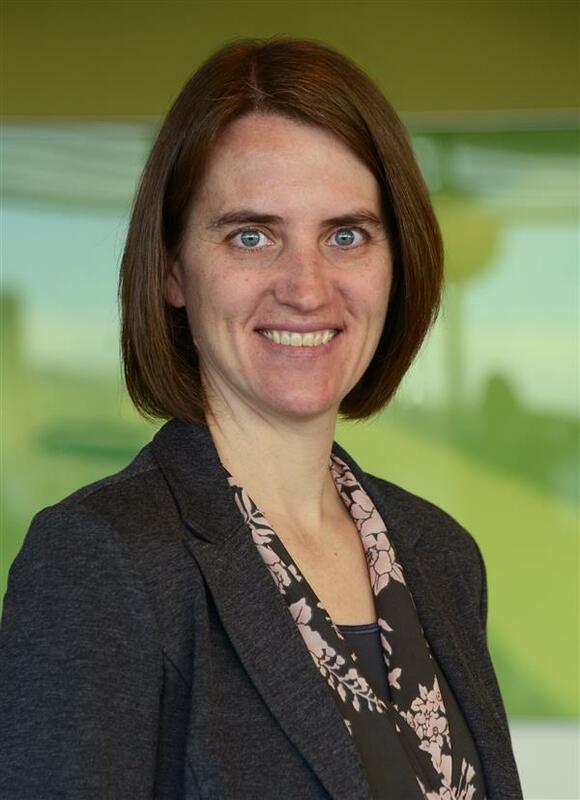 "These conflicting outcomes had cast a shadow of doubt on the translatability of the caloric-restriction paradigm as a means to understand aging and what creates age-related disease vulnerability," says Dr. Anderson, one of the report's corresponding authors. Working together, the competing laboratories analyzed data gathered over many years and including data from almost 200 monkeys from both studies. Now, scientists think they know why the studies showed different results. A drug that's commonly used to treat high blood pressure is being repurposed for a rare tissue cancer in Europe. 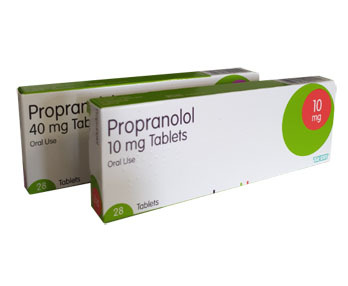 The medication, named propranolol, was recently granted Orphan Drug Designation by the European Commission (EC). The designation signifies that the EC supports the use of a drug to treat patients because of its significant benefit to those living with a rare disease -- in this case, soft tissue sarcoma. The cancer affects approximately one quarter of a million people living in Europe, and is generally considered difficult to treat. "People with soft tissue sarcomas have a very poor survival rate," says Brad Bryan, Ph.D., a biomedical scientist at Texas Tech University Health Sciences Center El Paso (TTUHSC El Paso). "Four out of 10 patients with the cancer will die and are in urgent need of new treatment options." Propranolol's ability to treat angiosarcoma, a very lethal form of soft tissue sarcoma, was originally discovered by Dr. Bryan's TTUHSC El Paso lab. In his study, Dr. Bryan used cell lines and animal models to show that propranolol could fight angiosarcoma and remarkably reduce the growth of tumors; the results were published in a 2013 PLOS One paper. Later, in a 2015 JAMA Dermatology article, Dr. Bryan described treating a patient with angiosarcoma -- who only had months left to live -- and bringing the tumor down to undetectable levels. What's more, the treatment had little to no side effects. Several scientists across the world have reported similar results since then, testing propranolol on their own patients with the rare cancer. A 69-year-old woman with metastatic angiosarcoma made a full recovery after being treated with propranolol by Shripad Banavali, M.D., an oncologist at Tata Memorial Center in Mumbai, India and Eddy Pasquier, Ph.D., a researcher at the University of Aix-Marseille. After her brain cancer became resistant to chemotherapy and then to targeted treatments, 26-year-old Lisa Rosendahl's doctors gave her only a few months to live. Now, a paper published online on January 17,2016 in the journal eLife describes a new drug combination that has stabilized Rosendahl's disease and increased both the quantity and quality of her life: adding the anti-malaria drug chloroquine to her treatment stopped an essential process that Rosendahl's cancer cells had been using to resist therapy, re-sensitizing her cancer to the targeted treatment that had previously stopped working. Along with Rosendahl, two other brain cancer patients were treated with the combination (vemurafenib and chloroquinone) and both showed similar, dramatic improvement. The eLife article is titled “Autophagy Inhibition Overcomes Multiple Mechanisms of Resistance to BRAF Inhibition in Brain Tumors.” "When I was 21 they found a large mass in my brain and I had it resected right away. They tested it for cancer and it came back positive," Lisa says. "Lisa is a young adult with a very strong will to live. But it was a high-risk, aggressive glioblastoma and by the time we started this work, she had already tried everything. For that population, survival rates are dismal. Miraculously, she had a response to this combination. Four weeks later, she could stand and had improved use of her arms, legs and hands," says paper first author Jean Mulcahy-Levy (photo), M.D., investigator at the University of Colorado Cancer Center and pediatric oncologist at Children's Hospital Colorado. The science behind the innovative, off-label use of this malaria drug, chloroquine, was in large part built in the lab of Andrew Thorburn, Ph.D., Deputy Director of the CU Cancer Center, where Mulcahy-Levy worked as a postdoctoral fellow, starting in 2009. Dr.
A study led by scientists at the Translational Genomics Research Institute (TGen) in Arizona has identified "a potent inhibitory compound" in the elusive hunt for an improved treatment against glioblastoma, the most common and deadly type of adult brain cancer. Aurintricarboxylic acid (ATA) is a chemical compound that in laboratory tests was shown to block the chemical cascade that otherwise allows glioblastoma cells to invade normal brain tissue and resist both chemo and radiation therapy, according to a TGen-led report published online on January 17, 2017 in the scientific journal Oncotarget. The article is titled “Identification of Aurintricarboxylic Acid As a Selective Inhibitor of the TWEAK-Fn14 Signaling Pathway in Glioblastoma Cells.” "The findings of this study could represent a breakthrough in our efforts to find an effective long-term treatment against glioblastoma multiforme (GBM)," said Dr. Harshil Dhruv, an Assistant Professor in TGen's Cancer and Cell Biology Division, and a lead author of the study. Initial treatment of glioblastoma consists of surgical removal of the tumor, radiation, and chemotherapy using the drug temozolomide (TMZ). However, the proclivity of glioblastoma to invade adjacent brain tissue prevents the surgical removal of all tumor cells. Plus, invasive glioblastoma cells show resistance to TMZ, resulting in the cancer's eventual return and the patient's death, often within a year. Despite recent advances, the median survival of glioblastoma patients is only 15 months, and survival statistics have not significantly improved over the past three decades. More than 16,000 Americans die each year of brain and other nervous system cancers. "We simply must find a better way of treating patients with glioblastoma," said Dr. Michael Berens, TGen Deputy Director and one of the study co-authors. Scientists have long puzzled over cholesterol. It's biologically necessary; it's observably harmful - and nobody knows what it's doing where it's most abundant in cells: in the cell membrane. Now, for the first time, chemists at the University of Illinois at Chicago (UIC) have used a path-breaking optical imaging technique to pinpoint cholesterol's location and movement within the membrane. They made the surprising finding that, in addition to its many other biological roles, cholesterol is a signaling molecule that transmits messages across the cell membrane. The finding was reported online on December 26, 2016 in Nature Chemical Biology. The article is titled “Orthogonal Lipid Sensors Identify Transbilayer Asymmetry of Plasma Membrane Cholesterol.” "Cholesterol is a lipid that gets bad press because of its association with cardiovascular disease," says Wonhwa Cho, Ph.D., Professor of Chemistry at UIC, who led the research. "It's been very well studied, but not much is known about its cellular function. What is its role? Is it a bad lipid? Absolutely not - for example, the brain is about half lipid, and cholesterol is the richest lipid in the brain," he said. A cholesterol deficiency can cause several diseases, and the substance is the starting material for making the body's dozen or so steroid hormones. Dr. Cho's earlier studies showed cholesterol interacts with many regulatory molecules - mostly cellular proteins - but it was never thought to be one. "We knew it could play an important role in cell regulation - for example, in proliferation or development," he said. "We know that high-fat diets, which boost cholesterol levels, have been linked to an elevated incidence of cancer. How, is not fully understood," Dr. Cho said.